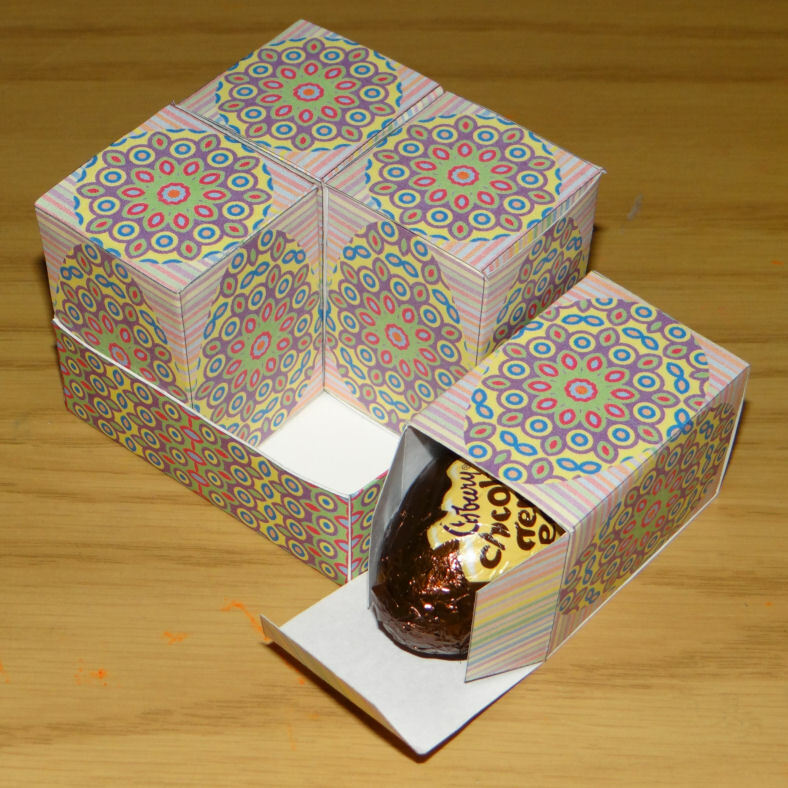 My family looks forward to the weeks approaching Easter because I wind up buying candy especially for these boxes. Then they get to eat them after the photo is taken! 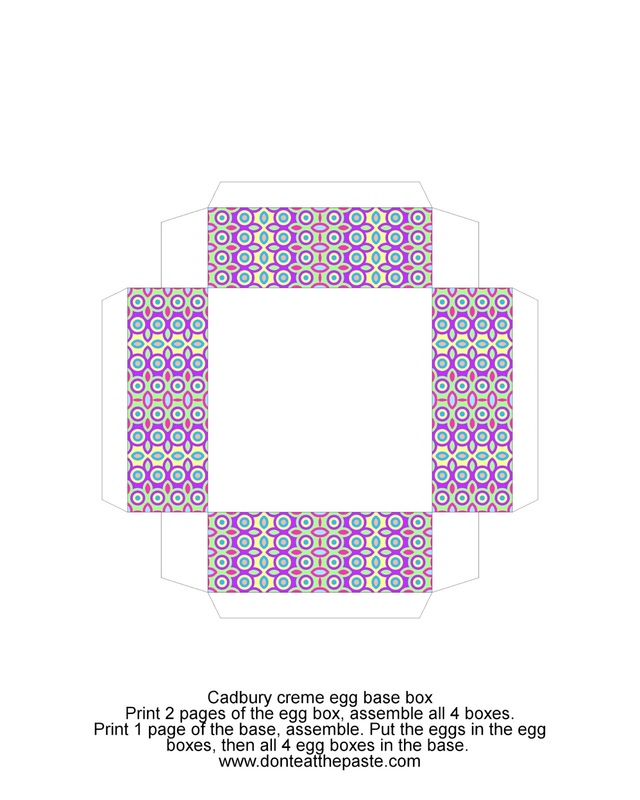 This box is my Cadbury Creme set, it will hold 4 eggs. I do recommend gluing the bottom tab as well as the side tabs because of the weight of the eggs. 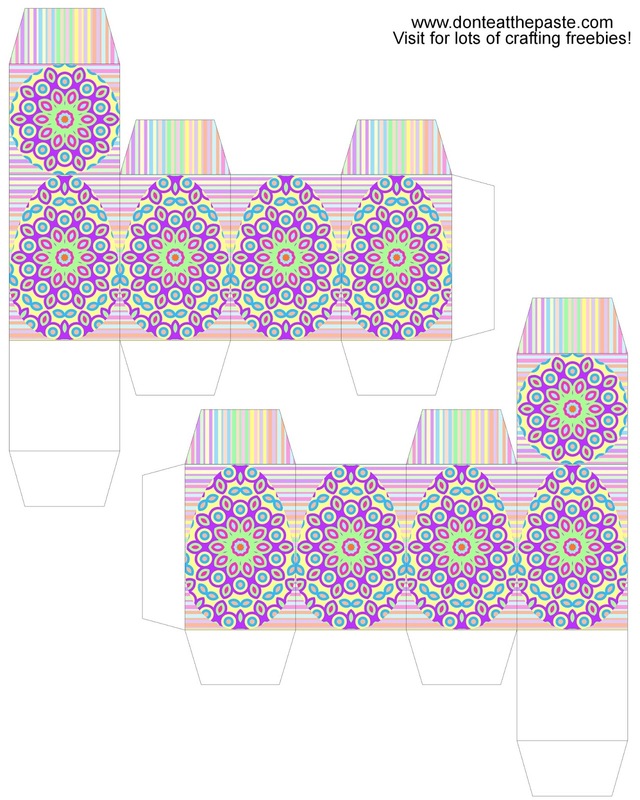 Click on the images for larger versions, print 2 pages of the egg boxes, and one of the base. Cut out, score folds, fold and glue! You can buy the blank template to decorate yourself at my Etsy store.